Herding sheep and shearing wool doesn't exactly evoke images of being a training ground for motor racing drivers, but it does help to fund one. On opposing ends of the spectrum, the simple, pastoral life of sheep farming and the wool industry helped to fund the exciting, on the edge, racing career of Peter Whitehead. Born in Menston, England in 1914, Peter started racing locally at the young age of 19 years old in 1934. In 1936, with the aid of his parents wealth in wool, Peter bought and ERA B chassis (see ERA article). Whitehead's first race of 1936 was the Junior Car Club 200 mile race at Donington Park in England. 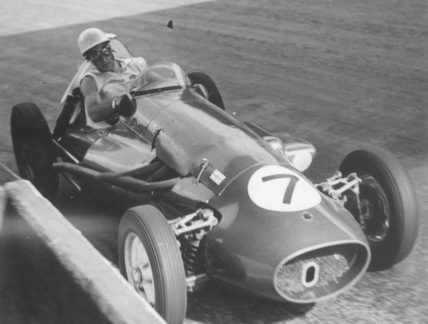 Competing against, soon-to-be, Mercedes-Benz driver Richard Seaman, Whitehead qualified his ERA B 2nd. Things looked promising early on in the race as Peter took the lead right from the start. After a few laps Seaman took over the lead. Peter's race came to an end after 10 laps when a piston failed. The next race Peter competed was the Donington Grand Prix in October of 1936. Whitehead drew the 13th starting spot on the grid. This time, however, Peter's ERA worked well and the 21 year-old finished the race 3rd. An interesting note about this race was the fact Peter shared the drive with Peter Walker. This pairing would prove to be rather successful in future years. 1937, for Whitehead, started off with the Coronation Trophy voiturette race. The race, held outside London, consisted of two heat races and a final. Peter was in the 2nd heat and finished 3rd. In the final, Peter started 3rd. While he was the last car running on the track, Peter finished the race 5th. Peter followed the Coronation Trophy race with another 5th place at the RAC International Light Car race, held on the Isle of Man. Sparing against the likes of Luigi Villoresi, Mays and Bira, Whitehead had his hands full. His hands became even more full battling these drivers in the torrential rain that fell during the race. Peter started from the 3rd row in 5th. Whitehead again paired with Walker for this race. After a couple of 8th place finishes at the Florence Grand Prix and the voiturette Milan Grand Prix, Peter failed to finish at Picardie, but overcame that setback at his next race. Peter once again drove in the Junior Car Club 200 mile race at Donington. This race was run at the same time as a voiturette race. Starting in the middle of the 2nd row, Whitehead drove a consistent, steady race. Almost half of the field suffered from some kind of terminal problem, but not Peter. At the end of the race, Peter drove his ERA B to a 3rd place finish, though some five and a half minutes behind winner Dobson. Whitehead raced later that day as well. In the following race Peter drove his ERA B within the voiturette category against larger, more powerful cars. Attrition was high and there were only five cars still running at the end of the race. Peter was one of them. Whitehead ran third most the race until Earl Howe almost had an accident. This handed second to Peter and he never looked back. Despite not being able to challenge Dobson for the win, Peter finished solidly in second with almost a one minute gap on Wakefield who finished 3rd. 1937 didn't finish well for Peter unfortunately. Peter suffered DNFs at the Dublin voiturette race and the Donington Grand Prix. These late failures didn't hamper Whitehead's momentum going into 1938. In 1938 Peter would take part in only one race, but he would make the most of it. Travelling to Australia on business, Whitehead took a rather unusual business partner with him, but the two were successful when paired together. Whitehead's business partner was his ERA B that he took with him. In April of '38, Peter took part in the Australian Grand Prix handicap race at Bathurst. It is unknown whether the business venture aspect of the trip was successful or not, but the one race Whitehead would compete sure was. Peter ended up winning the race and then ceased from any major races the rest of the year. Whitehead was the first to win a motor race at the circuit. Germany's invasion of Europe toward the end of 1939 severely hampered many drivers from taking part in races. Those with means, like Whitehead, would even travel to other continents to be able to race. Peter travelled to South Africa and took part in two races while there; the South African Grand Prix voiturette race and the Grosvenor voiturette race. Unfortunately, Whitehead was not rewarded for his travels. Peter suffered DNFs at both races. Upon returning to England, and the familiar Donington Park, Peter also returned to successful form. The race organizers tried to lure Mercedes-Benz to bring their new voiturette chassis but to no avail. In fact, no German or Italian team accepted the invitation for the race. Competing with his ERA B in the Nuffield Trophy race, Whitehead started the race 3rd Bira crushed the field in his ERA. Whitehead followed Mays home in 3rd after a hard fought race. Peter finished the 64 lap race one lap down and over two minutes behind Bira's C Type ERA. Heading into World War II, Whitehead put his desire and passion for living on the edge to good use becoming a pilot during the war. Due to the years and destruction of World War II, many people were looking to get back to some idea of normalcy, even if that was driving a dangerous grand prix car to its limits. Whitehead couldn't wait to get back to competitive racing. As grand prix racing resumed, Peter was there with his ERA ready to compete. Finally, in June of 1946, Whitehead got the opportunity to get back to what he loved to do. A grand prix race was held on the Royal Air Force's Gransden airfield. Reg Parnell and Bob Gerard were some of those to be found at the race. It should have been considered more of a sprint race or exhibition as it was only 3 laps around the 2 mile temporary road course. Reg Parnell ended up winning the event in his Maserati 4CL. Whitehead did not finish the race and was classified dead last after spinning before completing even the very first lap. However, Peter was back to racing and he didn't waste any time before he set off away from home in search of competitive racing. 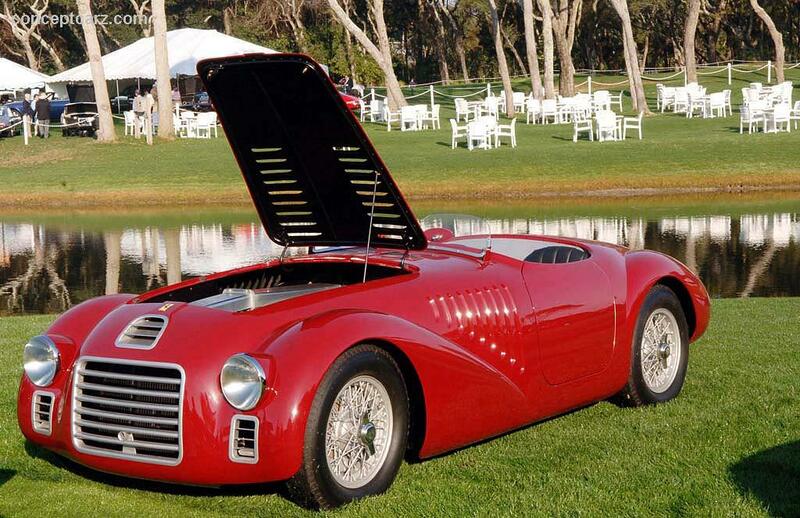 Whitehead would find his next competitive venture in Torino, Italy in September at the end of 1946. The Gran Premio del Valentino was a 60 lap race on a 2.8 mile road course. Both the great drivers and cars reemerged from the mothballs. Varzi, Wimille and Trossi reappeared with the Alfa Romeo 158. Peter emerged at the race with his new ERA E-type chassis. Unfortunately, the new car did not prove to provide a good result as Peter's race came to an end after 32 laps due to gearbox problems. 1947 was a rather busy year for Whitehead. In all, he would compete in five grand prix races and with an ERA E or ERA R10B chassis. The early part of the year did not prove to be too successful, but things changed by the end of the summer and into the fall. In August of 1947, Peter took part in the British Empire Trophy race on the Isle of Man. This event was 40 laps of the 3.8 mile street course that would cover a total of 155 miles. As its name indicates, this was a battle between the British empire's top drivers like Gerard, Bira, Harrison and Whitehead. Driving his ERA R10B, Peter finished the race in 2nd behind the ERA R14B of Bob Gerard. Whitehead's other good result of 1947 came at the Grand Prix of Lausanne in Switzerland. This was a 90 lap affair on the 2.0 mile road course. Ascari took pole in his Maserati 4CL. Though not having the same pace as the Maseratis and Talbot-Lagos, Peter drove a smart race and ended the event 6th, some 7 laps behind the winner Villoresi in his Maserati 4CL. Whitehead's career almost came to an early end in 1948 when he was involved in a plane crash at London's Croydon Aerodrome. The seriousness of his injuries, however, did prevent him from competing in any races during the '48 season, but he was surely blessed just to be alive. He overcame his injuries rather quickly though and was ready to go back to racing in the early part of '49. In addition to obviously being blessed by being able to be rescued from death in the plane crash, Peter also showed he was blessed in one other big way, which was to prove a difference-maker going into 1949 and beyond. 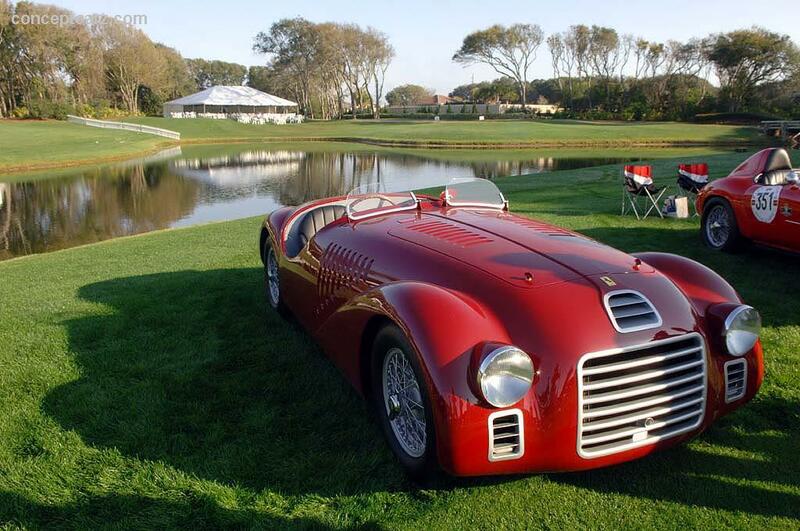 Somehow Peter was able to convince Enzo Ferrari to sell him a grand prix car, which was a Ferrari 125. This was no small achievement since this was to be the only grand prix car sold by Enzo to anybody.